Spiral Stairs has announced his first ever Irish show at Whelan’s on 26 September 2019. The announcement follows the release of the Pavement co-founder Scott Kannberg’s third album as Spiral Stairs - the critically acclaimed We Wanna Be Hyp-No-Tized on Domino Records. Tickets €20 plus booking fee go on sale this Thursday 4 April from Selective Memory (www.selectivememory.ie) and Ticketbooth (www.ticketbooth.eu). 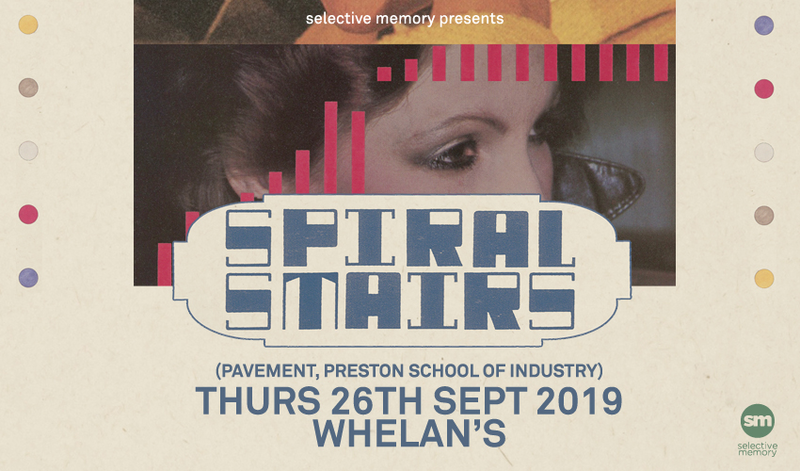 Tickets for Spiral Stairs live at Whelan’s on 26 September are priced at €20 plus booking fee (additional charges may apply) and go on sale this Thursday 4 April from Selective Memory (www.selectivememory.ie) and Ticketbooth (www.ticketbooth.eu). Tickets €20 plus booking fee go on sale Thursday the 4 April from Selective Memory (www.selectivememory.ie) and Ticketbooth (www.ticketbooth.eu).